i not a very dessert person. so far my solitary repertoire has been the chocolate lava cake. i did a lemon lava cake variation & also an apple pie which were pretty ok & i had served them once or twice during my home dinners with friends, but they didn’t quite inspire me. i am doing a 10pax dinner on 24.3.2014 & was looking up doable online dessert recipes. 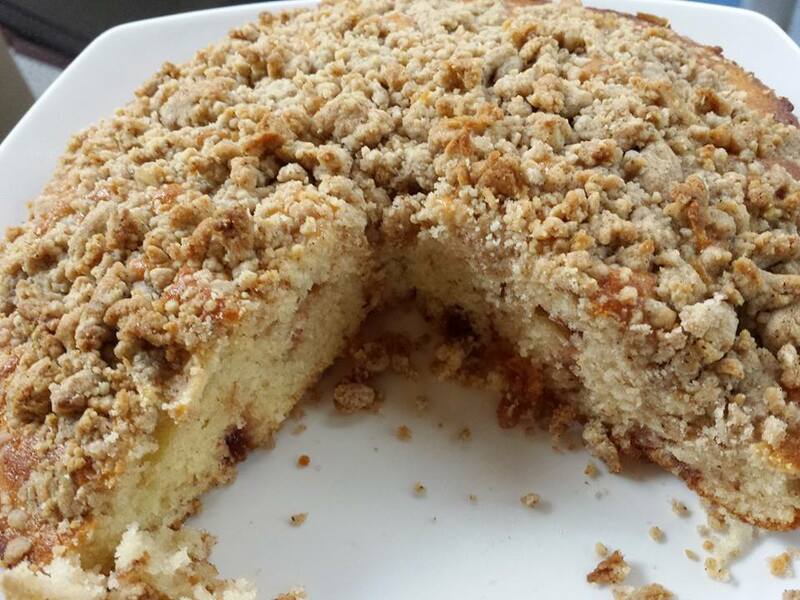 last november 2013 a friend’s wife did a very good jam cake which i liked for a lovely home fine dining dinner – so inspired i looked up a few recipes and found this jam crumb cake recipe on epicurean. i have never baked a whole cake my entire life. the lava cake was the first but those were in muffin tray. i also did the lemon lava cake variation (in muffin tray as well) & the apple pie. that was about it. & i had badly failed couple times attempting macarons. so i did not know what to expect mixing flour & butter & sugar & milk & making the crumbs. 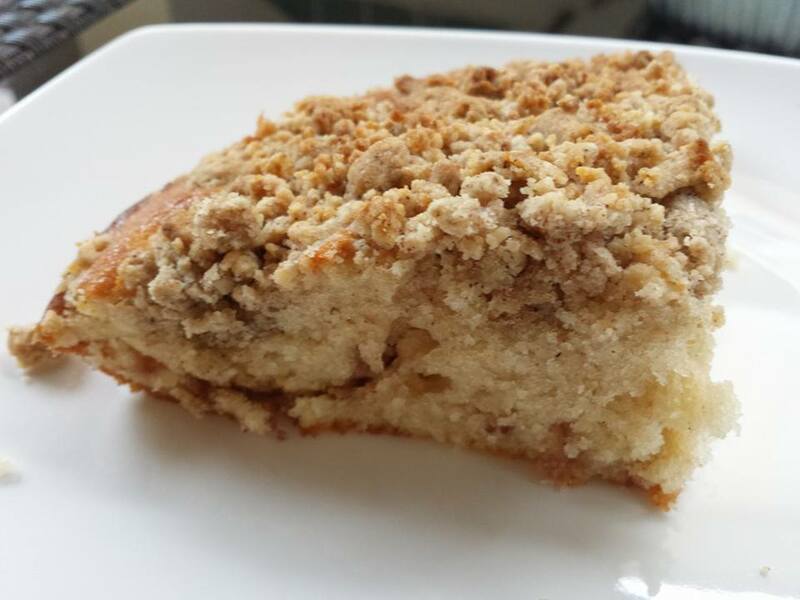 anyway i followed the recipe mostly with some adjustment (like reducing the sugar & the recipe for the crumbs taking in the feedback from comments of others who had attempted the recipe). 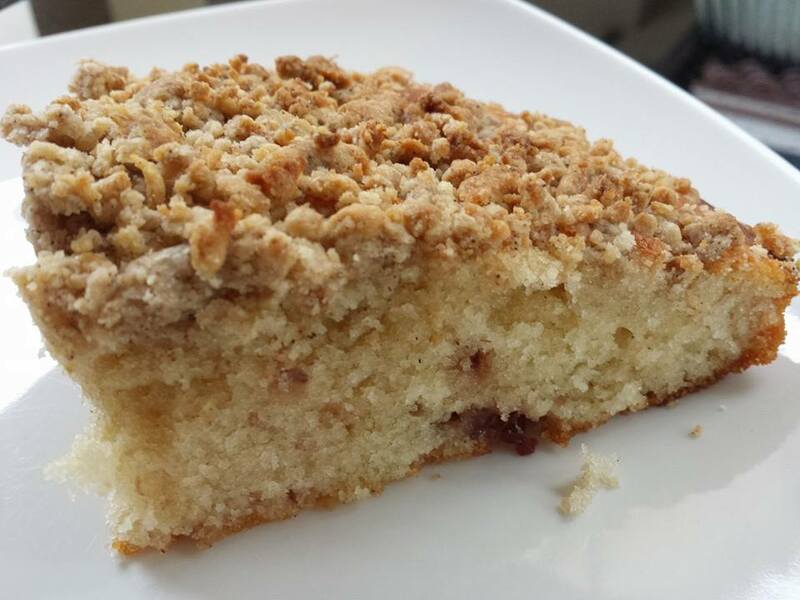 the jam crumb cake came up beautifully, by my lowly standard anyway. the flavour & texture were great & not too sweet, and the cinnamon did the magic. I would increase the crumbs a little for my next cake & also swirl in more jam. otherwise everything was near perfect. Preheat oven to 400°F (205°C). Generously butter a 9-inch square or round cake pan. Whisk together flour, sugar, baking powder, milk and salt. Whisk together melted butter and egg in a large bowl, then whisk into flour mixture until just combined. Pour batter into cake pan. Dollop jam all over surface, then swirl into batter with spoon. Whisk together butter, sugar, cinnamon, and salt until smooth. Stir in flour, then blend with your fingertips until incorporated. Sprinkle crumbs in large clumps over top of cake. 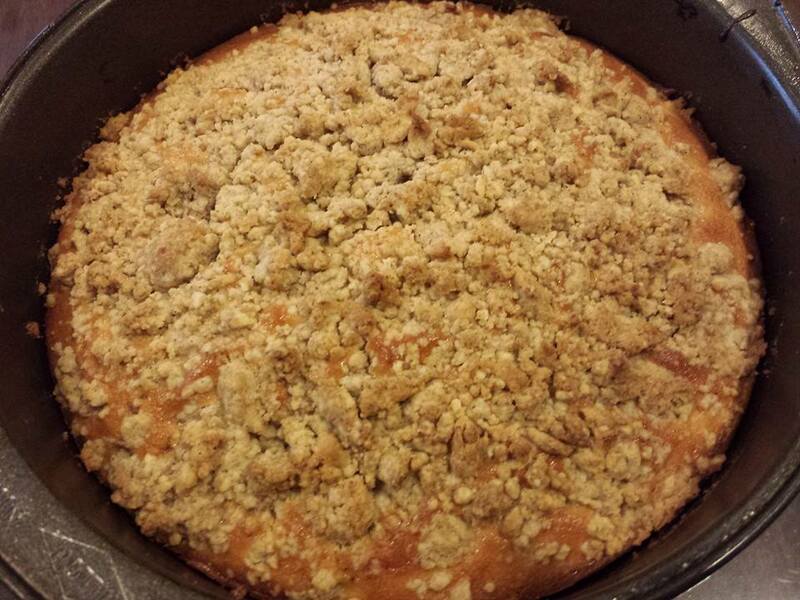 This entry was posted in Recipes and tagged apple pie, chocolate lava cake, epicurean, jam crumb cake, lemon lava cake. Bookmark the permalink.